Barry Allen, [Grant Gustin] – aka the Flash – Harrison Wells [Tom Cavanagh] and Cisco [Carlos Valdes] are off to the alternate universe, Earth-2, to save Wells’ daughter from Zoom, where what they see brings a new-found excitement to fans of the DC TV-verse and some interesting twists on characters from Earth-1. Once the group gets to Earth-2, Cisco realized that he can’t use his power of perceive the future on this Earth because it runs on a different wavelength than Earth-1. So Barry kidnaps his Earth-2 counterpart, who is the head of the Crime Scene Investigation division of the Central City Police Department, and takes his place. He finds out that Earth-2 Iris [Candice Patton] is a Detective in the CCPD, while Joe [Jesse L. Martin] is a Jazz singer. It was neat to see Jay Garrick [Teddy Sears] in his Flash costume and powered up even if it was just for a glorious 30 seconds. We get to see what different abilities Jay has, like when he used his helmet to create shockwaves. It’s the first time that you get to see what Jay is truly capable of as the Flash – and, as it turns out, he’s capable of quite a lot. What really annoyed me through most of the episode was just how dumb Barry was. He acts as if Earth-2 is in his world, but it’s not. He walks around like he knows this Earth and its doppelgangers, but most of the time he’s just surprised by everything that is different. Case-in-point is when Barry asked Joe [Jesse L. Martin] why he hated him so much. The conversation was cringe-worthy with Joe down talking to Barry. One of the most unexpected moments was when the alternate Barry’s mother calls. It was a sweet and tender moment; one that Barry has been hoping to have with her since she died when he was a child. It was a heartbreaking yet clever way to get Barry to say I love you to his mother one last time. 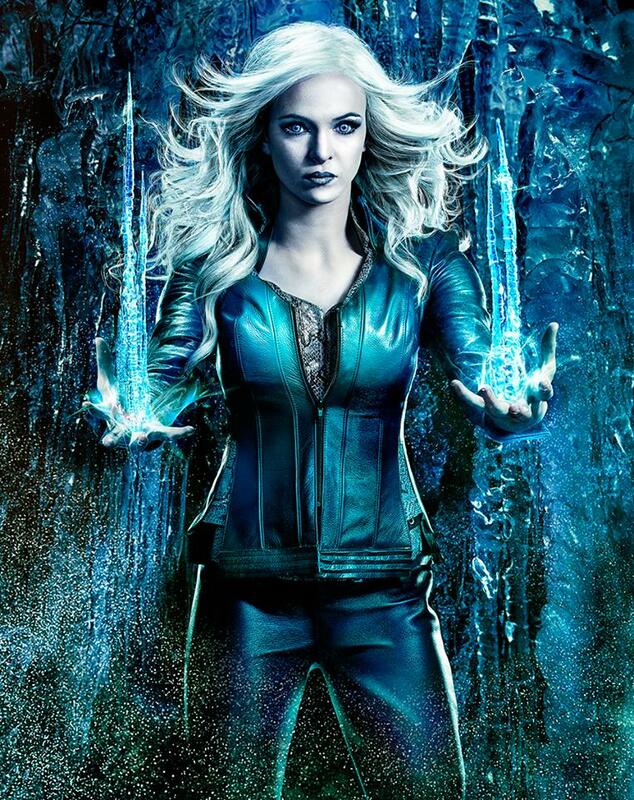 While at Jitterbugs, the doppelgangers for Caitlin [Danielle Panabaker] and Ronnie [Robbie Amell] – as their evil counterparts, Killer Frost and Deathstorm – come looking for Barry. A small fight breaks out and Joe is killed in the crossfire. This causes Iris — with the help of her partner, Deadshot in Earth-1 — and Cisco to go after the two. Here is when Cisco runs into his doppelganger, Reverb. Just as The Flash is beaten by the three villains, Zoom appears and kills Deathstorm and Reverb and takes Barry to his underground jail where Wells’ daughter and an unknown character, who fans are calling “the Man in the Iron Mask,” are currently imprisoned. Hopefully, the Man in the Iron Mask’s identity is revealed very soon. In the end, this was the episode that fans were hoping for. We get to see all of Earth-2 and its differences with all the doppelgangers, despite most of them being evil. We see just how monstrous Zoom really is and that nobody will get in his way to collect the power that he craves for.